Everton travel to Stamford Bridge for the third game in a week, looking to continue the unbeaten start to the season against last year’s Champions. Koeman will assess the freshness of his players before naming his side, but with a number of injuries his options remain limited. We fully expect Everton to start with a back three, Jagielka returning to captain the side. In midfield Schniederlin is suspended, so Davies is likely to replace him and will be asked to play a deeper midfield role. Koeman will be hoping that Irissa Gana Gueye is passed fit to play, otherwise Mo Besic will come into the team. 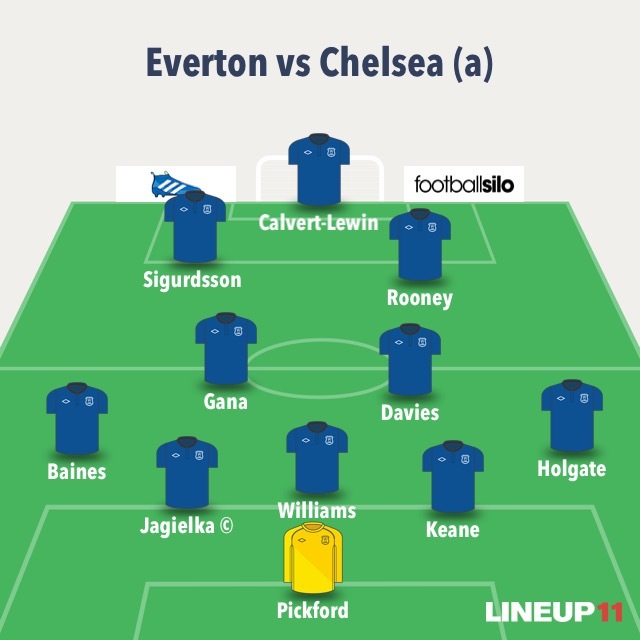 In attack, Sandro is unlikely to be risked ahead of the international break, with Calvert-Lewin leading the line supported by Rooney and Gylfi Sigurdsson.